Rio Grande Fence Co. of Nashville was awarded its fifth straight AGC Subcontractor Project of the Year, third straight Overall Subcontractor of the Year, and AGC Community Service Award at the 2018 AGC Build Tennessee Awards. The Associated General Contractors of Tennessee - Middle Tennessee presented its annual awards to members at the Loveless Barn. All projects are judged by out-of-state AGC members that do not have a Middle Tennessee office. "Our work at CabaRay Showroom in Nashville as the 2018 Subcontractor Project of the Year, and our overall score making us the Subcontractor of the Year as judged by an unaffiliated, out-of-state crew, demonstrates why we are The Commercial Fence Professionals(™)," said Derek Smith, Rio Grande's Chief Operating Officer. 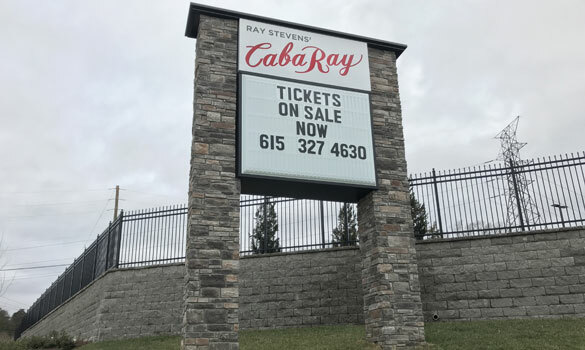 The fence and access control installation for Ray Stevens' CabaRay Showroom is a project with exceptional performance. With safety being paramount, Rio Grande's team worked with the general contractor and owner through the pre-planning stage to ultimately change the installation location on two phases in an effort to maintain a zero-injury project and deliver a professional installation. According to the Senior Project Manager at Parkes Construction Co., William B. Howell, "Ray Stevens' vision for the fencing and automatic gate system was not blurred by the professionalism that was shown by both project management and field crews that worked on the job. Scott's professionalism that was shown during the design stage was top notch and the quality of the installation was second to none." "While Rio Grande Fence has provided perimeter security and peace of mind to our clients for sixty years, we're most honored to have been awarded the 2018 AGC Community Service Award," Smith said. "Our company was founded on a set of core principles we live and work by every day. Giving back to the Nashville community testifies to those beliefs." Rio Grande Fence Co. has won the American Fence Association National Fence Contractor of the Year award in 2013, 2015, and 2016 in addition to its multiple local awards. Since 1958 Rio Grande Fence Co. of Nashville has been installing and repairing fence for commercial and industrial projects in the Mid-South region. Rio Grande's work can be seen at Nashville's police precincts, Nissan Stadium, Nashville International Airport, and many other businesses, sports facilities, and government projects.